The boys are back! 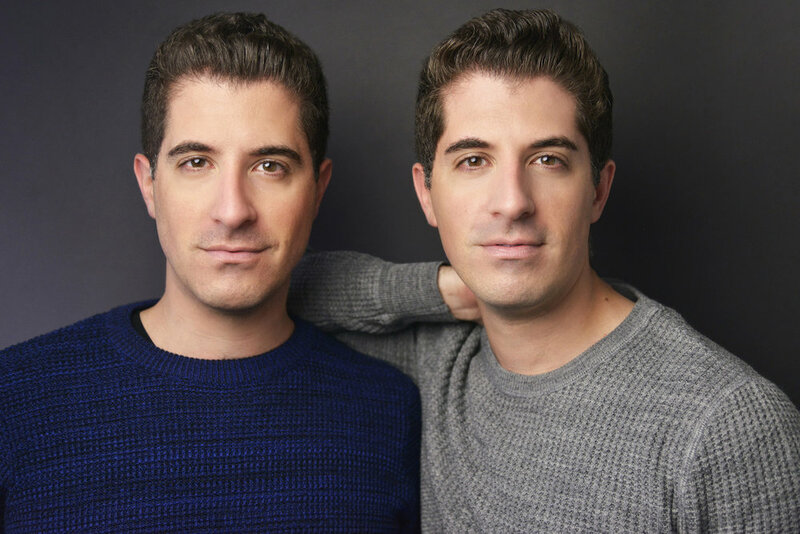 Will and Anthony Nunziata are starting the New Year off with the debut of their concert The New Classics at Feinstein's/54 Below. From Rodgers & Hammerstein and Billy Joel to Sinatra and Adele, The New Classics is an unforgettable evening of music and laughs where everything sounds new and always feels familiar, with hits like "Unchained Melody," "New York State of Mind," Adele’s "Someone Like You," "The Prayer," as well as brand-new soulful original tunes. Come start your New Year off with the timeless songs of then and now. The New Classics will be premiering at Feinstein's/54 Below on Saturday, January 13 at 9:30pm. Click here for tickets! For more on Will and Anthony be sure to visit http://www.willandanthony.com and follow them on Facebook, Twitter, and Instagram! For more on Feinstein's/54 Below visit https://54below.com and follow them on Facebook, Twitter, YouTube, & Instagram! 1. On January 13, you are returning to Feinstein's/54 Below with a brand-new, one night only concert, The New Classics. What should excite fans about this upcoming concert? Will: We are going to be premiering fresh arrangements of classic Broadway songs and standards, but what I’m most excited about is our debut of original songs that I think the audience is going to really dig. Anthony: I am excited for our fans to hear our original soulful pop music we’ve been working on this past year! 2. What makes you nervous about this upcoming concert? 3. What song are you each excited to debut? Anthony: "Will You Be My Everyday," an original song I composed with Jeff Franzel and Tom Kimmel. Will: "Love Is Love Is Love" - one of Anthony’s original songs that he wrote with Jeff Franzel. 4. This concert is described as an unforgettable evening of music and laughs. In putting this concert together, what song, that you will perform as a duet, just makes you laugh non-stop during rehearsal? Will: I would say "You’re Nothing Without Me" from the musical City of Angels - it’s a fantastic melody by Cy Coleman with extremely witty lyrics by David Zippel. Anthony: Ditto. This is such a fun song. It’s so clever and I try my best to make Will laugh when we sing it. And usually he breaks, so this is always a fun moment in our concerts. 5. Since the concert is called The New Classics, what original songs of yours do you hope will become "New Classics"? Anthony: My goal is that the songs sound familiar and have a timeless melody and lyrics, saying something familiar in a way that has never been said quite that way. That’s always the goal. I have been fortunate to work with collaborators who have written for major pop stars and classical crossover artists, and I’ve learned so much from them. 6. Over the past few years, you have been expanding your repertoire to include songs like Adele's "Someone Like You" and Billy Joel's "New York State of Mind." What made you want to bring these songs into your concerts as opposed to keeping the shows to songs from the American Songbook and Broadway? Will: I’m really interested in exploring songs like this that I consider part of the canon of "The New American Songbook." Anthony: The goal is to take a "new" approach to music — with those two songs, the idea came from the lyrics telling two distinct stories yet there is a common emotion of yearning and from that common thread Tedd Firth and myself arranged the mashup to tell a "new" story - and as always, the goal is to tap into people’s deepest emotions and have them connect with something within their own lives while listening. 7. You are currently working on another full length CD which will feature original songs as well as fresh takes on timeless classics. What can you tell us about this upcoming album? Anthony: We will be releasing the album sometime in 2018! 8. Since this concert is taking place at the start of 2018, what are some of your goals for the new year? Will: To continue to be kind, patient, and grateful. 9. One classic song you almost always perform is "The Prayer." What do you pray for as we begin 2018? Anthony: Love, peace and hope. 10. What is something about you both that would make your fans' jaws drop with an "OMG" reaction? Over the past 5 years Will & Anthony Nunziata have performed over 300 concerts and outreach programs across the country headlining major performing arts centers, theaters and symphony concert halls. 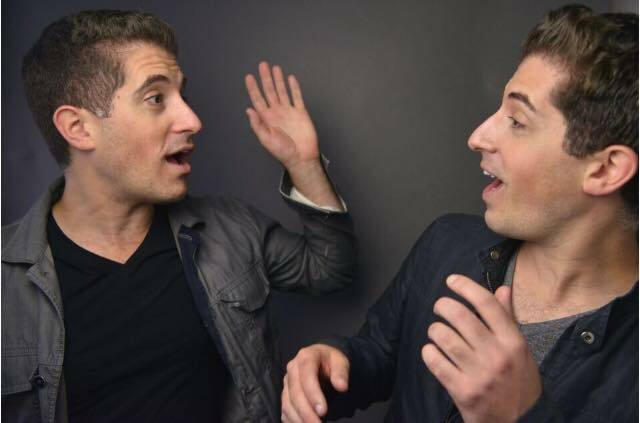 The renowned singers, songwriters, Netflix-bound comedians and Carnegie Hall Headliners are the Brooklyn- born, classically trained singing and comedy brother duo hailed by The Huffington Post as "a nearly impossible pairing of talent, stage presence and charisma." They recently headlined Carnegie Hall for two sold-out concerts with the New York Pops Symphony Orchestra. The brothers have brought their distinct take on classic & contemporary songs to performing arts centers and theaters, as well as intimate cabaret venues and symphony concerts with orchestras such as the New York Pops, Detroit Symphony, Cleveland Pops, Colorado Symphony, Lancaster Symphony, Annapolis Symphony, Cape Cod Symphony, Toledo Symphony, and Edmonton Symphony Orchestra. The brothers studied music, acting and directing at Boston College, and trained in improv comedy at the famed Upright Citizens Brigade in New York City. The two will be featured in the upcoming Netflix comedy The Last Laugh starring Chevy Chase and Richard Dreyfuss to be released in 2018. Featured on Good Morning America and The Rachael Ray Show, Will & Anthony are most proud of their "ARTS MATTER!" Educational Outreach Initiative and Master Class Workshops that educate and inspire students to fearlessly pursue their passions. Will is an acclaimed stage director and Anthony an emerging songwriter whose original songs are featured on the brothers’ EP The Gift Is You and upcoming album that will include fresh takes on timeless classics as well as originals. Jan 2 Call Answered: Charles Socarides: "20th Century Blues" & "When We Rise"